Start Small Think Big provides free small business legal assistance and financial consulting to qualified entrepreneurs and small business owners. This application helps us determine whether you qualify for our services. It also helps us to determine exactly what kind of assistance you are looking for, and how we can best assist you. If you are a RETURNING CLIENT, please contact SSTB staff for your abbreviated application! We cannot consider your application unless you provide us with the information requested. Please be aware that completing an application does not automatically qualify you for assistance. New York City office or (415) 966-2187 for our Bay Area office. If you have questions, please contact us at (646) 723-4053 for our New York City office, (415) 966-2187 for our Bay Area office, or hello@startsmallthinkbig.org. How did you hear about Start Small Think Big? Please select the MOST influential. I am a returning Start Small Think Big Client Another Business Organization Start Small Think Big Client Family, Friend, Colleague Workshop Web Search Social Media Newspaper or Other Media Food Business Pathways Program Other If more than one, please select the most influential. Start Small Think Big Client Family, Friend, Colleague Workshop Another Business Organization Web Search Facebook or Twitter Newspaper or Other Media Other If more than one, please select the most influential. Which Columbia-Harlem Business Counselor referred you? What 'other' source referred you to Start Small, Think Big? Do you generate 50% or more of your sales on-line? Does or will your business have more than one owner? If your business has more than one owner, EACH owner of the business must complete this Application for Assistance before we will be able to schedule an appointment. How many owners does or will your business have in total (including yourself!)? What percent of the business do you own? I understand that all owners or potential owners of my business must complete this Application for Assistance. Consent is required in order to continue. If you have questions, please contact us at (646) 723-4053 or hello@startsmallthinkbig.org. Do you currently own/operate a for-profit business? Are you currently working with a small business counselor? Are you currently selling goods/services? Yes No Please click yes if you are currently earning any revenue from your business. Are people paying money for your product or service? Click yes! How long have you been selling goods/services? Over the last 3 months have you made more than $500 in revenue? Do you have a lease that needs to be reviewed? Do you pay yourself any wages/ salary/ benefits from you business- that are included as business expenses? What amount of your business expenses in the last 12 months are personal wages/ salary/ benefits? Does another person claim you as a dependent ? Does another person provide you with more than half of your living expenses? NOT including yourself, how many people does this person claim in his or her household? Do you have any dependent children (under the age of 18) or children whom you provide with more than half of their financial support (regardless of whether they live with you or not)? How many dependent children (age 17 or younger) do you have? Are there any adults (age 18 or older) who are your dependents or whom you provide with more than half of their financial support (regardless of whether they live with you or not)? How many dependent adults (age 18 or older) do you have? 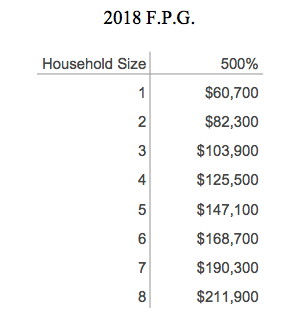 1) Please fill in the following table with the amount of income you or other members of your household receive for each category of income for the current year, for income outside your business. 2) Please report the GROSS amount of income received- before taxes for the current year. What time period would you prefer to use to report your income? I will report the monthly amount received by me/ my household. I will report the annual amount received by me/ my household. Financial Support from outside the household. What time period would you prefer to use to report your income from public benefits? Education assistance (e.g., scholarships and loans). Have you pulled your credit report? To access your free (non-FICO) credit score, go to creditkarma.com. What is the highest (pre-tax, annual) salary range you have earned in the past 5 years? What degree or other level of educational attainment are you currently attending school to pursue? Check all that apply. Are you pursuing any of the following graduate degrees? Check all that apply. What is your highest level of education have you completed? Check all that apply. Have you obtained any of the following graduate degrees? Check all that apply. Briefly describe the products and/or services your business will offer, as well as your primary customers and the need your business will fulfill in the marketplace. Are a majority of your customers from low-income/ underserved communities? What is the form of your business ownership? Does your business have any employees or independent contractors (other than yourself and any co-owners)? Yes No Do NOT count yourself or anyone else who is an OWNER of the business. Does your business have employees that are specifically from low-income / underserved backgrounds? Do you anticipate hiring new employees in the upcoming year? Does your business anticipate hiring employees that are specifically from low-income/ underserved backgrounds? What type of legal assistance are you seeking from Start Small Think Big? Click below to upload the contract you would like to be reviewed. Click below to upload the lease you would like to be reviewed. Click below to upload court papers or other documents related to your litigation issue (e.g., if you have the original contract or agreement). What type of financial assistance are you seeking from Start Small Think Big? What type of marketing assistance are you seeking from Start Small Think Big? What type of distribution assistance are you seeking from Start Small Think Big? Thank you so much for completing the Start Small application. We are excited to start working with you! Please expect to hear back from our intake team typically within 3 business days.